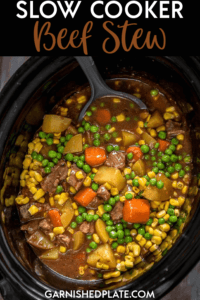 For a simple, easy to prepare dinner that is hearty and delicious you can’t beat Slow Cooker Beef Stew! 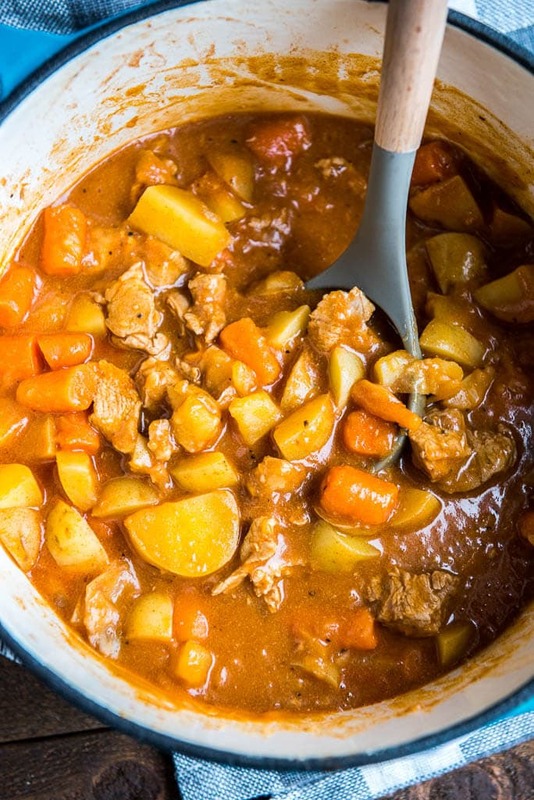 Everyone has their own way of making stew, and for me, the slow cooker always wins, hands down. 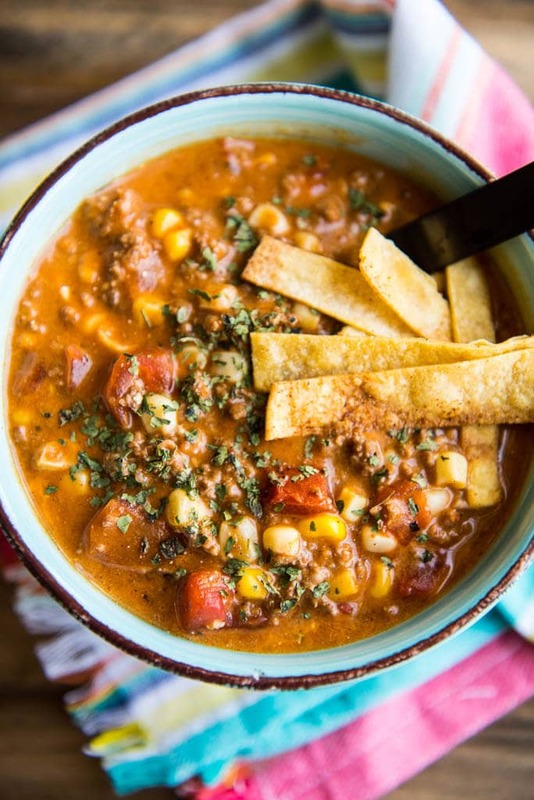 It’s one of those meals that you can throw in early in the day and put it on low and it will simmer away getting better and better and the hours count down to dinner time. 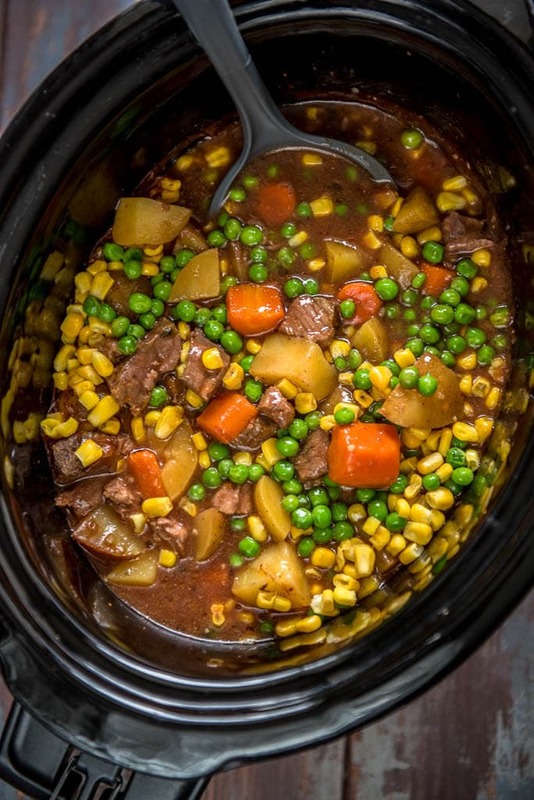 I’ve made Slow Cooker Beef Stew a million different ways over my lifetime so far, but today’s version is one that I feel is worthy of sharing. It so quick and easy, yet turns out rich and delicious every single time. Cook it low and slow! The key to tender, fall apart meat is getting it cooked to a temp of 205 degrees F.
Don’t use russet potatoes, they will fall apart and get kind of mealy if you will. Use gold or red potatoes instead! Another thing I’ve recently discovered that I’m loving is tapioca pearls! These are awesome for thickening soups and stews and more because you don’t end up with that grainy flour flavor! Just a couple of tablespoons and they dissolve and help create a thick and rich broth! Do you have any tips to share? 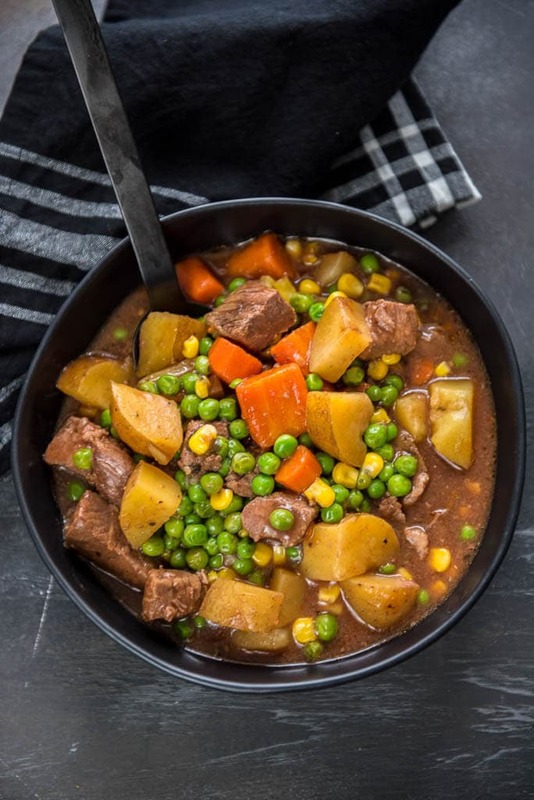 Any tried and true family recipes for making stew? We’d love to hear them, so be sure to share! 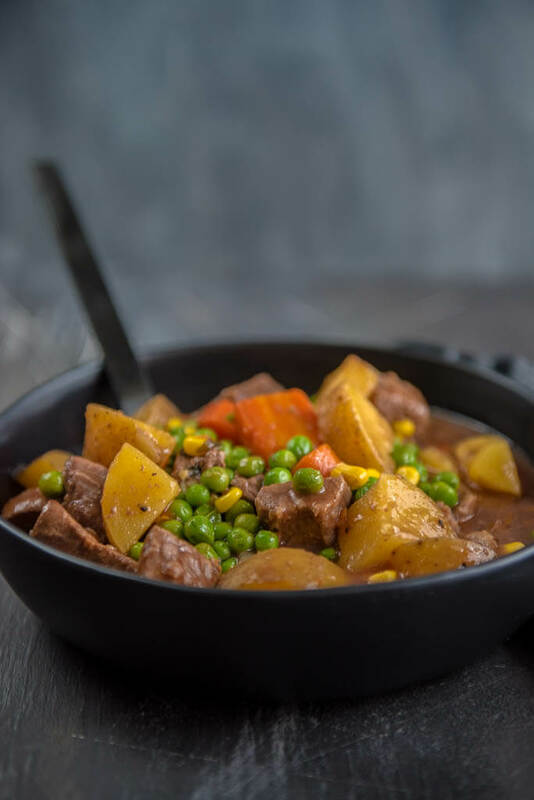 For a simple, easy to prepare dinner that is hearty and delicious you can't beat Slow Cooker Beef Stew! and delicious Irish Stew! Plus so many more! The first time I made this, it came out perfect, but the second time I made it, it came out burnt. I think it had to do with 1 of 2 things1) Half of the meat I used was Top Round Steak. It was in a nearly identical package next to the stew beef in the store. It was lean though.2) The order that I put things into the slow-cooker. 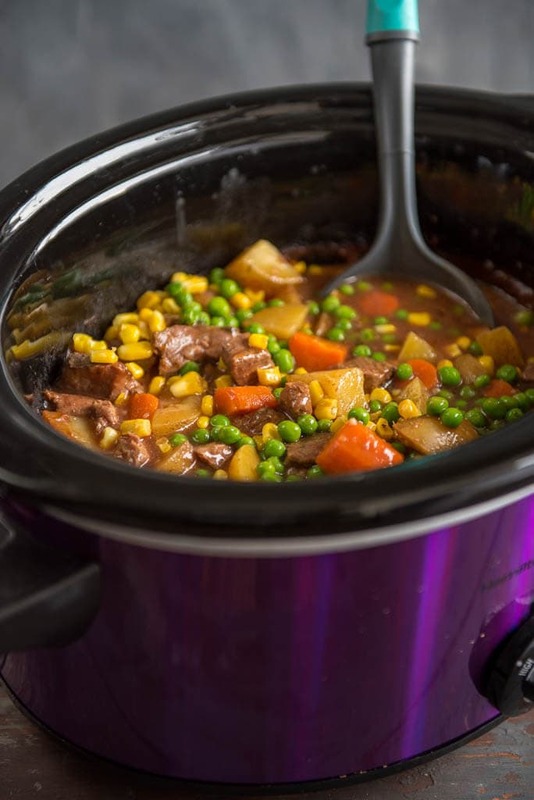 Does it matter what order I put things into the slow-cooker ? I think I put in the broth, tapioca pearls, salt, seasoning and tomato sauce in that order, BEFORE putting in the beef , potatoes and carrots.